My life is an incredible adventure that has taken me down some very exciting and extraordinary paths. I have been fortunate to be able to follow my passions in life. This has been a challenge, and at times a difficult road, but worth it in unimaginable ways. 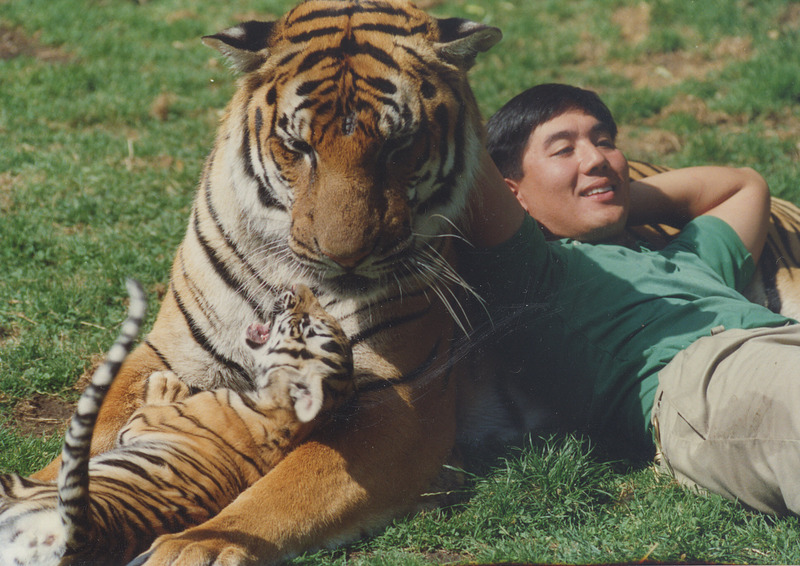 A life with tigers and lions has been a dream of mine since I was a child. My work with the big cats eventually led me to wildlife conservation in East Africa. Currently, I am working for the Ngamba Island Chimpanzee Sanctuary in Uganda. In 1998, the sanctuary was founded by Dr. Jane Goodall and a group of founding trustees. This website is an account of my journey. 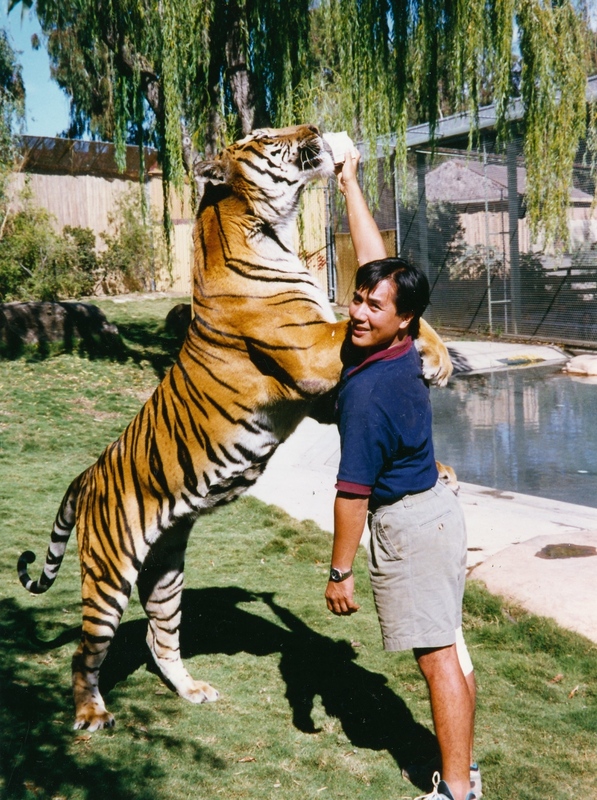 Rakhan, a 450lb Bengal Tiger at Six Flags in Vallejo, CA. It took two years before this tiger accepted me. It was a long, and at times, stressful process. Earning his trust and respect meant everything to me. 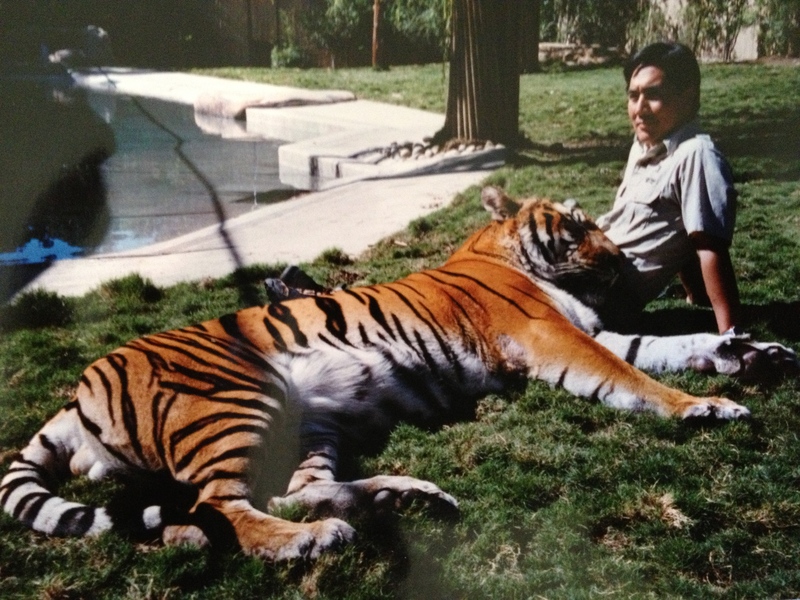 With Kuma, a male bengal tiger that I helped to raise. 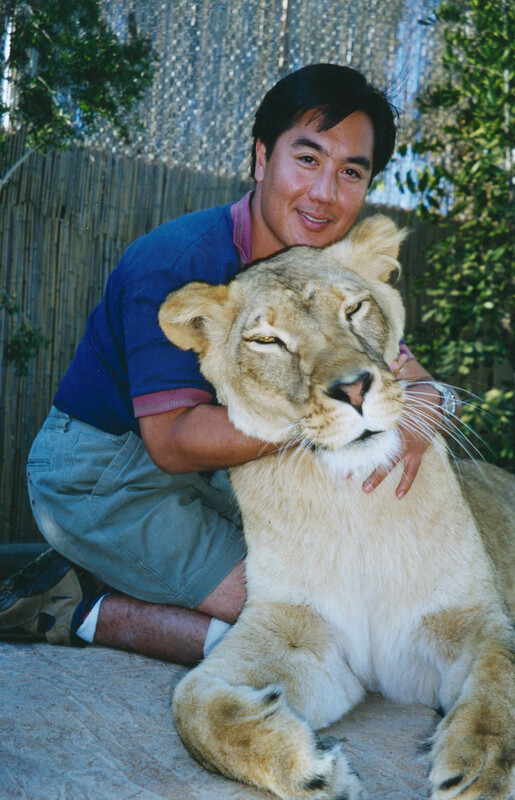 Nikka was the first lion that I helped to raise as a cub. Lions are very different than tigers because they are social animals and live in prides. Tigers are primarily solitary in nature. Giving Rakhan low-fat milk, his favorite treat. He 13 ft. tall. This young cub is Sikari with her uncle Rakhan. She was the first tiger that I raised. I was with her mom Kali, when she gave birth to her. This was a once in a lifetime moment. I am the CEO of Christopher Austria Safaris Ltd., a unique travel company based in Kampala, Uganda. 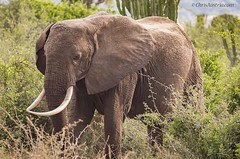 I lead wildlife, and cultural safaris in Uganda, and Rwanda. 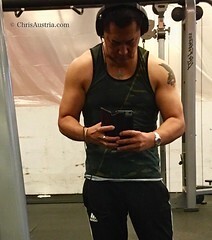 I am also wildlife conservationist, photographer, videographer, and founder of Chris Austria Productions LLC. Our mission is to empower communities and conserve wildlife through film, photography, and music. We are filming a documentary in Uganda on the strong connection between community development, rural health care, and wildlife conservation.